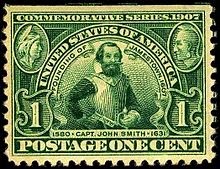 Everyone in America probably knows the story of John Smith – how he helped the colony at Jamestown survive its early days, only to be captured by the local Natives. When he was about to be killed, the Chief’s beautiful daughter, Pocahontas, threw herself over his body and saving him from the executioner’s club. After that the story gets a bit vague. 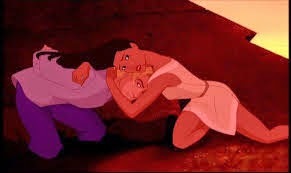 In the Disney version, Smith is wounded and needs to return to England in order to survive. He and Pocahontas have a tearful goodbye, but peace is achieved between the English and the Native tribe. Surprisingly, the story is close to true, and Disney didn’t even mess up the ending too badly. 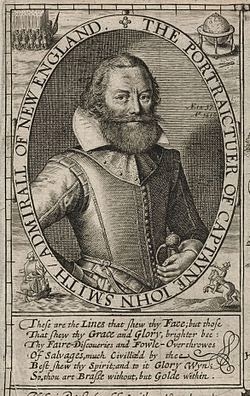 But did you know that not only was John Smith a real person, he was a full time adventurer, who sailed to the Mediterranean, gave New England its name and also dabbled in piracy? Smith was born on an English farm in 1579 or 1580. He had three years of formal schooling, and went to sea at age 16. He was always a mercenary and privateer. He joined the French in fighting against the Spanish, and when that war was over, took up with the Dutch to fight the Spanish again and was promoted to captain. After this he sailed to the Mediterranean, where he traded when that was profitable, and pirated when it was not. Also according to Smith’s autobiography, he was later wounded in this same war, captured by the Turks and sold into slavery “like an animal.” He claimed that his Turkins master sent him as a gift to a lady in Constantinople, who fell in love with him. She took him to Crimea, where he escaped in 1604 and returned to England. 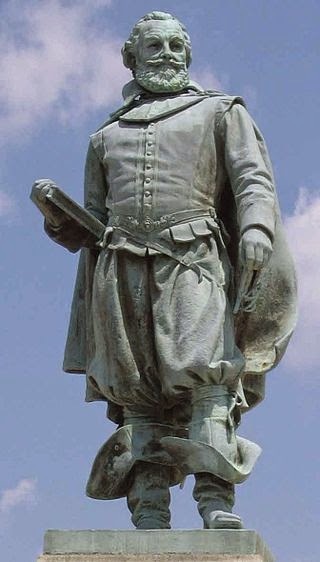 In 1606, short on funds, he was employed by the Virginia Company, a corporation dedicated to finding gold in the New World. He set sail under Captain Christopher Newport, and caused enough trouble with the impractical captain during the journey that he was charged with mutiny, and might have been hanged. But the three ships arrived at the Jamestown only a short time later. When they did, they opened the charter written by King James and learned that Smith was to be in charge of the colony. The colony was in grave straits. The settlers had been promised gold lying on the ground, and had spent most of their time loading ships with iron pyrite (fool’s gold) rather than building homes or planting crops. John Smith instated a simple law of “he who works not eats not,” and led the settlement through over a year of near-emergency from starvation, cold and disease. Indeed the only reason that the colony survived at all was that ships filled with new settlers arrived to replace those who died. Powhatan, leader of the Natives, was concerned with the continuing inflow of Europeans, and relations between the two groups was strained. Then, in 1607, something happened which became the Legend of Pocahontas. John Smith was captured and taken to see Powhatan. Smith didn’t like the locals, but unlike many Europeans of his day, he did not regard them as sub-human. Instead, he acknowledged that they were at different levels of technology. 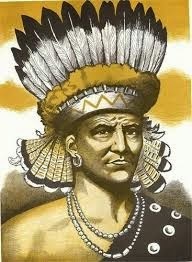 Johns Smith believed that he was about to be killed by Powhatan, and that he was saved by the chief’s daughter. Some historians believe that he made the story up. (It was not written down until 10 years later.) Modern theory is that Smith may have mis-interpreted a ritual in which he was symbolically killed and then re-born as a member of the tribe. All sources doubt the rescue was inspired by romance. Pocahontas would have been only 12 years old at the time. However it really went, relationships between the two groups stabilized for a time. The Europeans finally built a village, and began to be almost self-sufficient. Craftsmen and women began to arrive instead of mere treasure-seekers. But the more Europeans arrived, the more nervous Powhatan became. 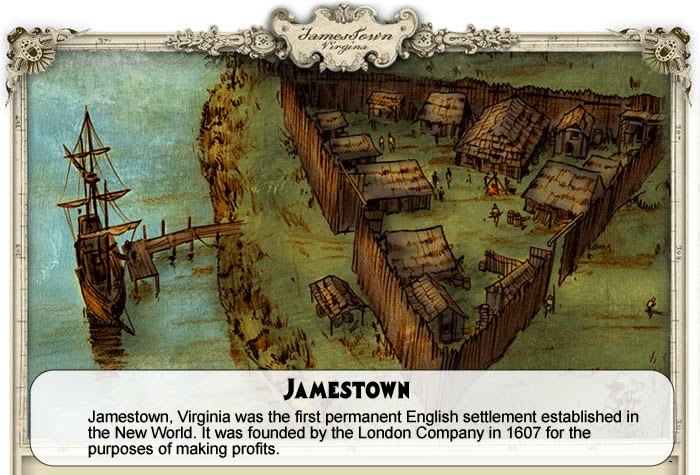 Smith explored and mapped the region around Jamestown, but he also led war parties in skirmishes against the Natives. In 1609 he was severely wounded by a gunpowder explosion. Then, just like in the Disney movie, he returned to England. 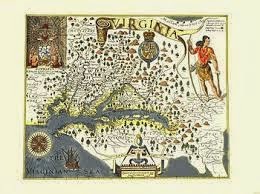 Smith never returned to the Jamestown, but he published his maps of the Virginia area, and did his best to support the colony, encouraging it to be seen as a place where farming and industry would make money, not the easy acquisition of gold. In 1614, still seeking adventure, Smith sailed again for the New World, landing this time in the area of Maine and Massachusetts. He is credited with naming the area “New England.” He did not stay long, but planned to return. Unfortunately, he was not successful. On is first effort to return his ship was dismasted in a storm, and on the second, he was captured by French pirates. Still the adventurer, he escaped and returned again to England, where he began writing about his life. He published: A True Relation of Such Occurrences and Accidents of Note as Happened in Virginia (1608), A Map of Virginia (1612), The Proceedings of the English Colony in Virginia (1612), A Description of New England (1616), New England's Trials (1620, 1622), The Generall Historie of Virginia, New-England, and the Summer Isles (1624), An Accidence, or the Pathway to Experience Necessary for all Young Seamen (1626), A Sea Grammar (1627) – the first sailors' word book in English, The True Travels, Adventures and Observations of Captain John Smith (1630), and Advertisements for the Unexperienced Planters of New England, or Anywhere (1631). 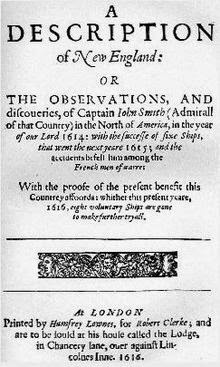 Captain John Smith died in London in 1631, at age 51, not bad for a man of his time who had seen so much of the world. He was formally interred in Saint Sepulchre-without-Newgate Church in London in 1633. His legend lives on. Many of his written works are available today on Google Books, and can be downloaded and read for free.